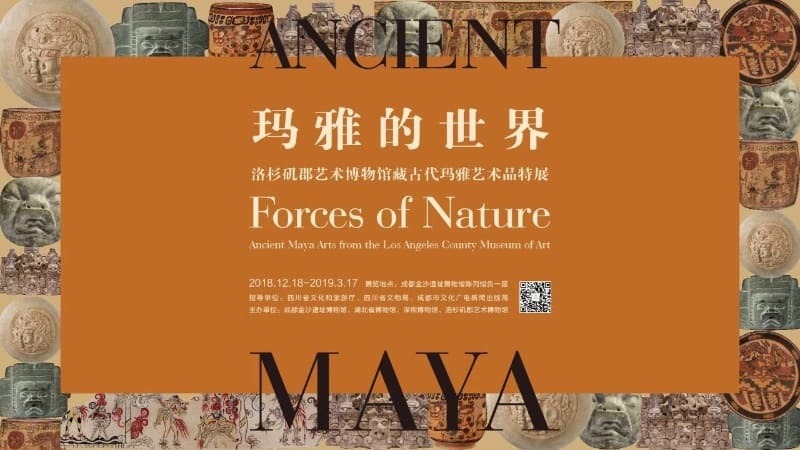 Forces of Nature: A unique exhibition showcasing ancient Mayan arts from the Los Angeles County Museum of Art, co-sponsored by the Chengdu Jinsha Site Museum, Hubei Provincial Museum, and the Shenzhen Museum. The collection includes 214 works of ancient Central American art, spanning over a period of 2000 years. This is rare opportunity to see such historical artefacts in China. The exhibition finishes March 17, 2019.